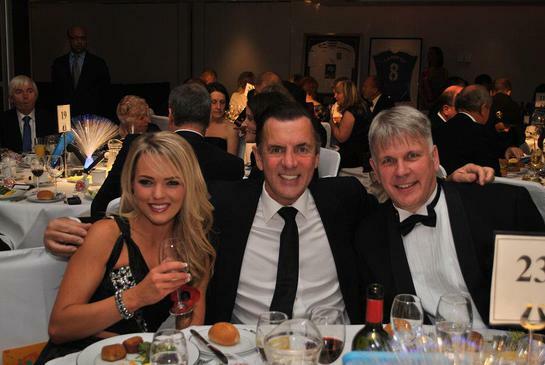 Celebrity tycoon Duncan Bannatyne joined 400 other attendees at a glitzy charity ball in the UK on November 2, which raised around £100,000 for Richard House Children’s Hospice. The event at the Grange Hotel near Tower Bridge was the 12th ball for the Beckton-based hospice, which cares for children with life-limiting, life-threatening and complex healthcare conditions. Guests were able to bid for unique prizes including a weekend break with the entrepreneur himself, which raised £5,000, as well as a Lille football package donated by hospice patron Joe Cole which went for £1800. Speaking at the ball Duncan said: "When children have not got long to live they want to do as much as they can in a short life. Duncan described how the hospice has a special memorial garden where families can place their child’s name on a stone. Mum Emma Sutton, whose daughter India uses the hospice made a moving speech outlining the differences Richard House has made to her. Other entertainment throughout the evening included a champagne reception, three course meal and the Gilev showband. Money raised from events like the ball will enable children at Richard House to continue to receive the care that they need and will allow the hospice to give them fun-filled activities, which make them smile and create happy memories. To find out more about Richard House and how you can get involved please visit www.richardhouse.org.uk or call 020 7511 0222.